Andres Pira, real estate tycoon and CEO of Blue Horizon Developments, is laser-focused on expanding his group of companies from Phuket to new locations. For the first time, new development destinations have been revealed; Bangkok, Samui, and Krabi. 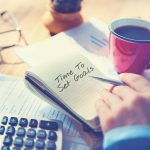 Andres initially joined the property business after landing a job as a marketing executive handing out brochures for a real estate developer. In just three years he attracted several investors who believed in his vision and ambitions. Consequently, this led him to the first investor funded property development in Blue Horizon Developments. Best International New Hotel Construction & Design 2018-2019 – Grand Himalai Oceanfront Residences (International Property Awards). 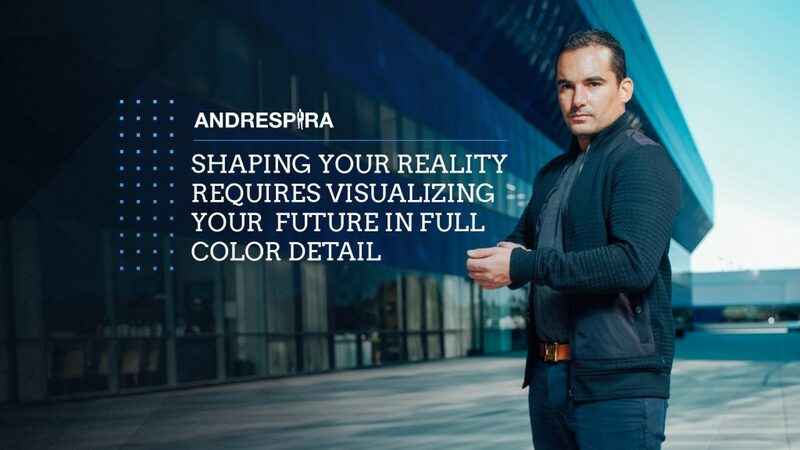 Andres grew up in Stockholm, Sweden, and had no real plans for the future. Certainly, he never imagined he would become a real estate tycoon. The sudden death of his grandfather left him with a small inheritance. He bought a one-way ticket to Thailand. With no money, no contacts, jobs, or knowledge of the Thai language, Andres was sleeping his life away on the beaches of Phuket. He had reached rock-bottom but was too humble to ask his family for help. Finally, he called a friend to borrow money. “I won’t give you any money, but I’ve got a book that might help you,” said his friend. It was called The Secret: The Law of Attraction. Andres begrudgingly read the book. The very next day he set out to disprove this ‘law of attraction’ that he’d learned. As a result, the opposite happened. 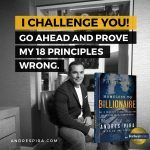 Andres discovered how visualization works and learned to bring into effect amazing success via harnessing the power of positive thinking. 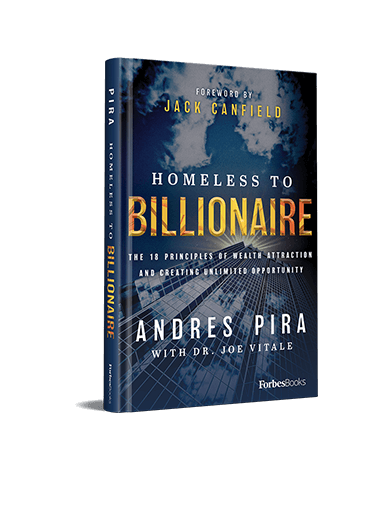 By being disciplined and practicing these principles, Andres completely transformed his life to become the real estate tycoon he is today. 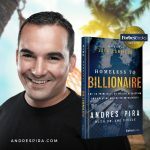 Because of this, and his desire to give back, Andres now travels the world mentoring people on his life-changing wealth attraction principles and how to create unlimited opportunities. Andres also designed and organized Success Events: The Missing Secret to Success, a two-day motivational-speaking series, held in Thailand in December 2018. 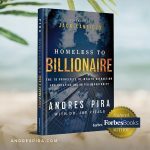 Finally, Andres is now launching his first book, ‘HOMELESS TO BILLIONAIRE.’ Authored by Andres Pira, along with Dr. Joe Vitale, this book provides advice and insights on giving freely to activate positive vibrations, tackling success and failures, and why passion and joy are the keys to successes. You’ll also learn how to be a calculated risk taker, and as a result, how to convert problems into opportunities. 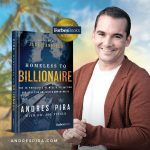 Andres spent years studying the habits, techniques, and mindset of the wealthiest people before applying it to himself. If Andres can do it, you can too!